Hans U. Hielscher has been organist at the Marktkirche in Wiesbaden (Lutheran Cathedral of Nassau), Germany, since 1979. His studies were at the Detmold State Academy of Music and in Paris/Rouen, France. He also studied carillon at The Nederlandse Beiaardschool in Amersfoort, The Netherlands. 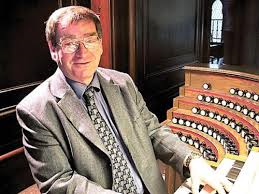 Hans has presented more than 3.500 organ recitals around the globe, his concert tours have taken him to all European countries, the United States (68 U.S. tours), Bahamas, Israel, Iceland, South Africa, Australia, New Zealand, Japan, Hong Kong, Singapore and Bangkok. He has been featured on radio and TV broadcasts, 22 CD recordings on the Motette, Wergo, IFO, Lade labels and is the author of the books "Alexandre Guilmant - Life and Work", "Famous Organs in the U.S.A.", "The Organ of Wiesbaden Marktkirche". 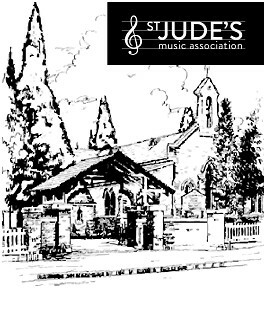 He is a published composer of some 50 works for organ. Hans has been honored by the French government in Paris for his worldwide engagement in French organ music and nominated "Chevalier de l'Ordre des Arts et des Lettres" in 1985. "Alchemy: Guitar duets from around the world."